1. Use and old piece of packaging and fold it into a 6x6" journal cover. 2. 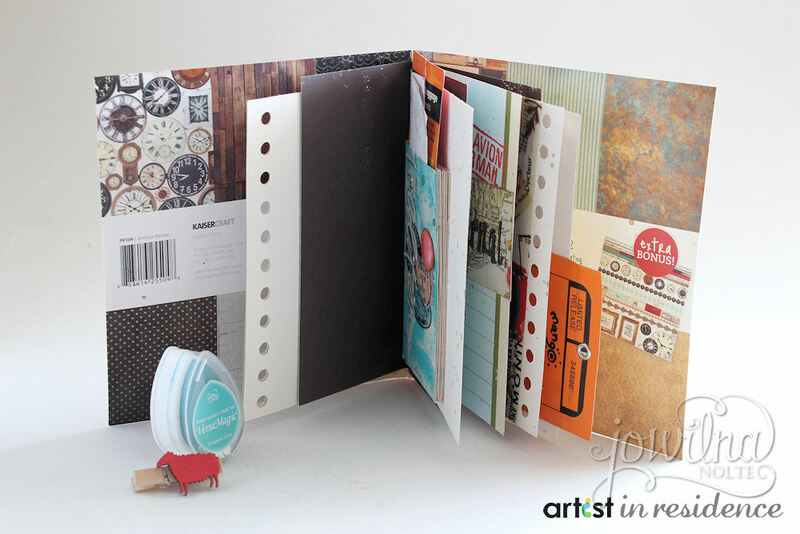 Fold several scrap pieces of card stock and paper and sew them together inside the journal cover. 3. 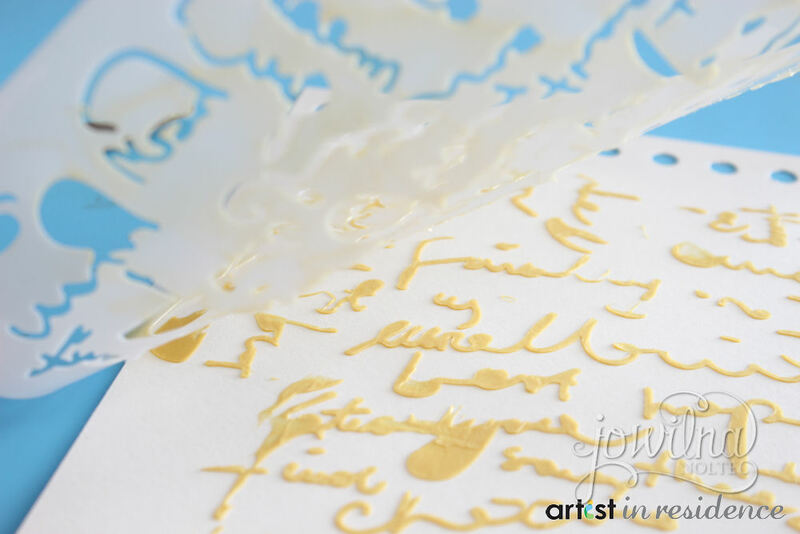 On a 53/4 x 53/4" cream card stock add stenciling using Gold Creative medium. 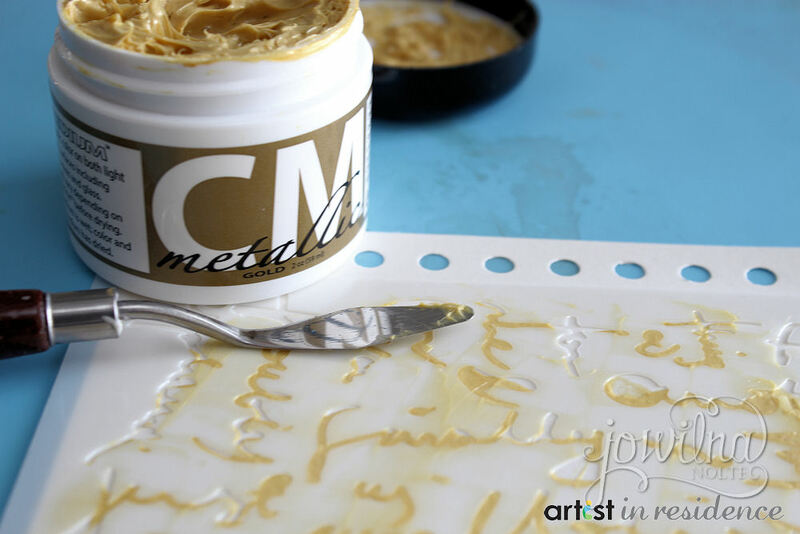 Carefully remove the stencil and let dry. 4. Adhere the stencilled piece to the front of the folded cover. 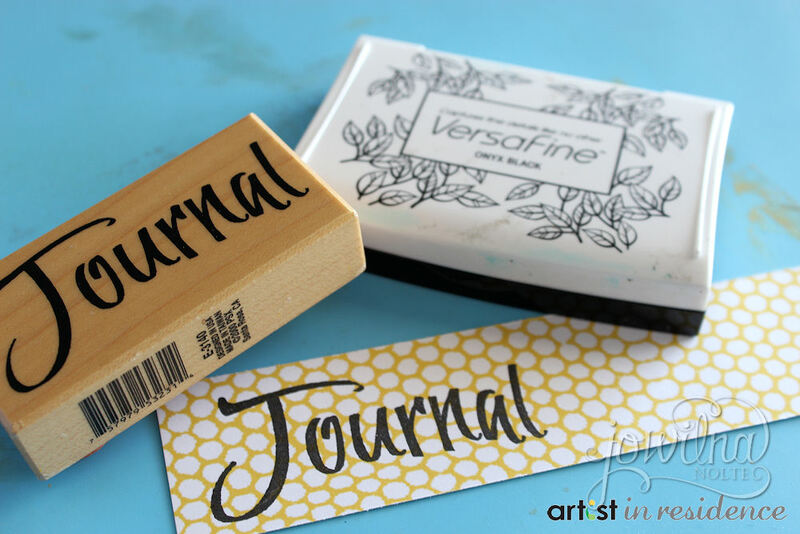 Add travel related stamping using Versafine Onyx Black. 5. 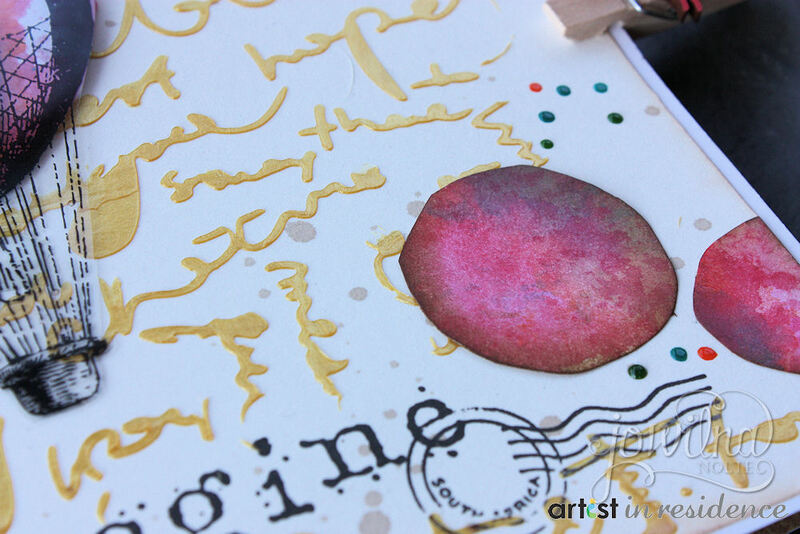 Color white cardstock using Memento inks in red, blue and orange. 6. 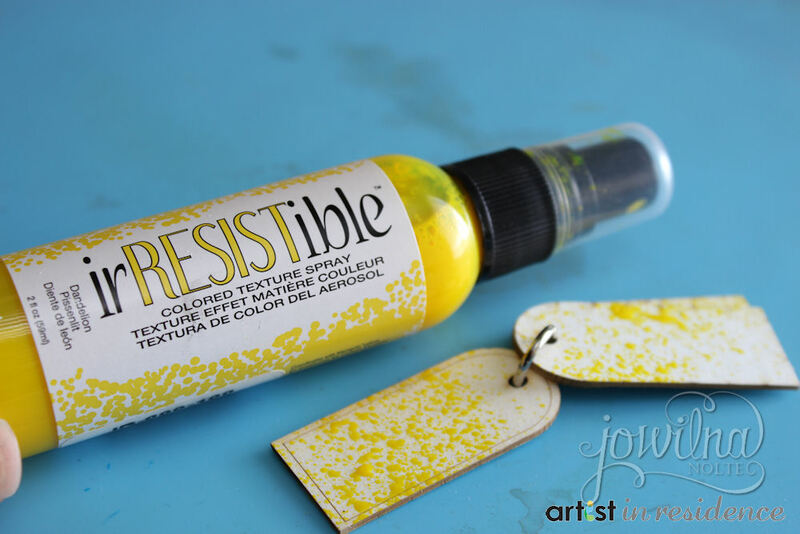 Spritz chipboard tags with irRESISTable texture spray and let dry. 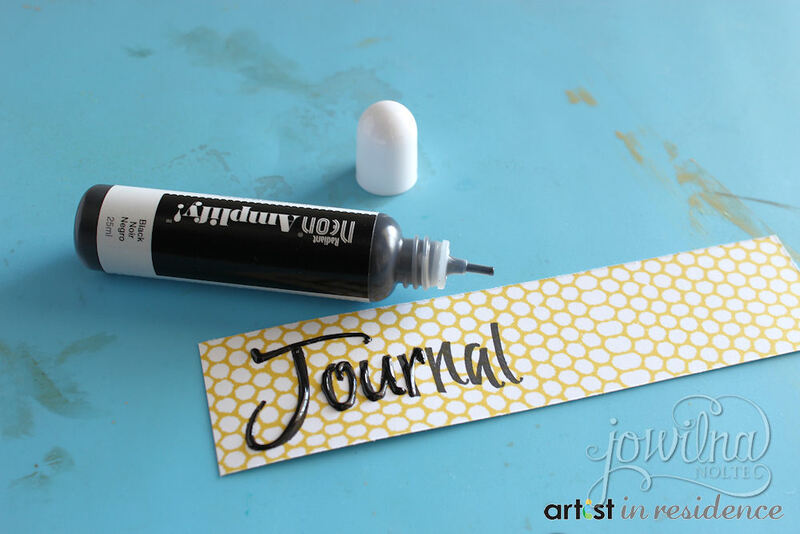 Ink over yellow using brown ink and use in journal. 7. 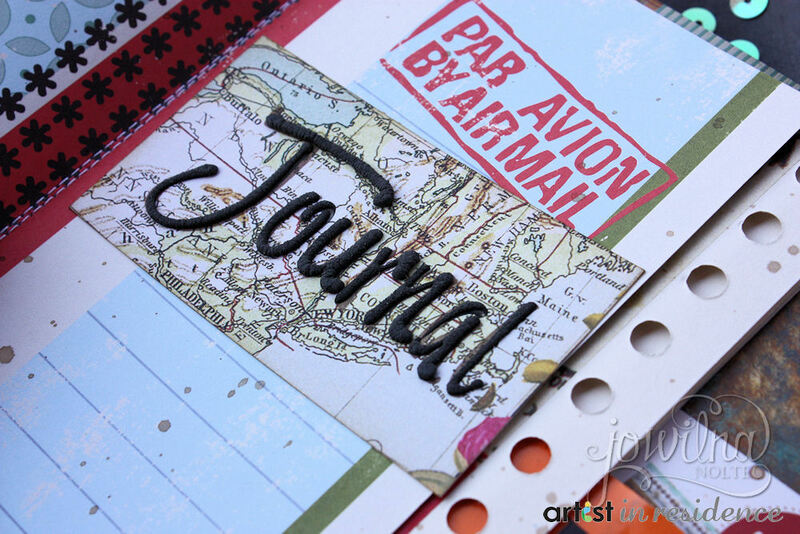 Add dimensional stamped accents inside the journal. 8. Stamp wording onto patterned paper in Versafine Onyx Black. 9. Then trace the wording using Amplify! and let dry. Heat with heat gun to create a puffy textured look. 10. 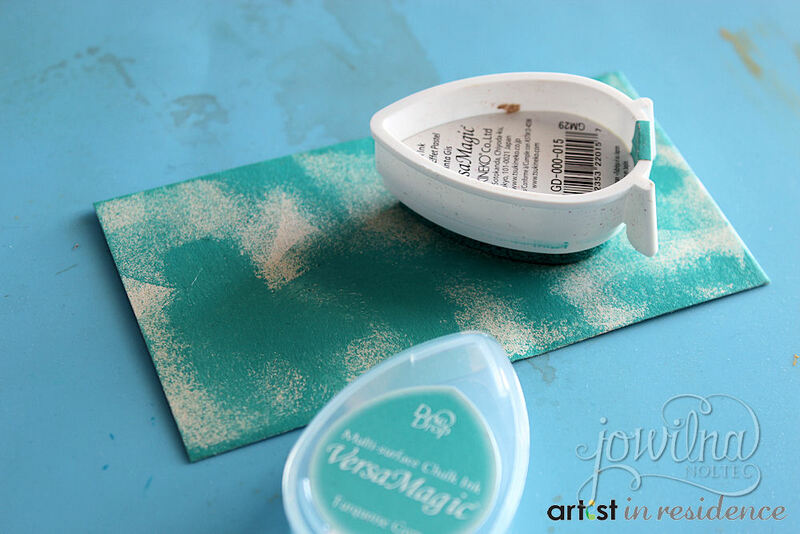 Ink small envelopes using Versamagic and let dry. Add stamping anddecorate. 11. Adhere envelopes together and adhere to inside pages of journal. 12. Use the envelopes to house ephemera, ticket stubs, photos and journaling.